As usual I received excellent personal service in a very friendly salon. The results were great and always made to feel welcome and special. 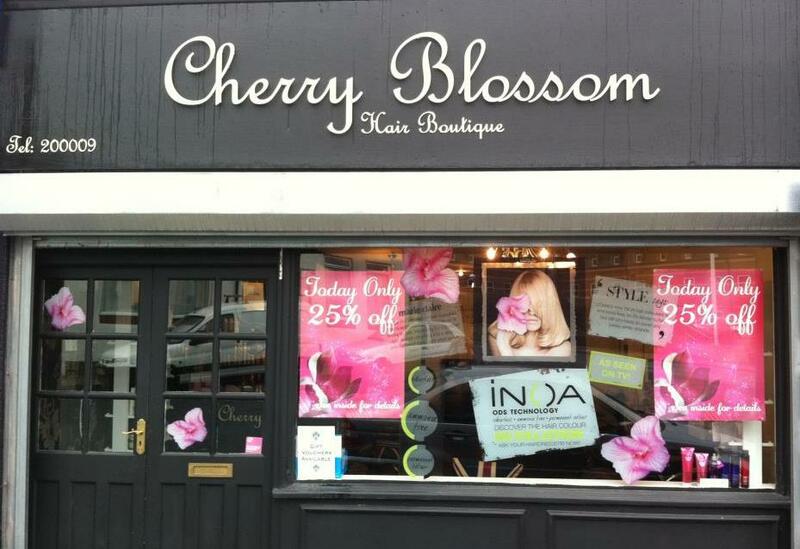 Cherry Blossom, I shall certainly be making another appt with Gemma. Jemma is amazing stylist..I have jemma stying my hair for about 9 plus years and not once have i been disapointed..great adviser and certainly as a lot of pateince with me..Cherry Blossom is amazing place and would highly recomend this place to anyone..Jemma does not rush you takes time to advice if needed Thank you Jemma ?????????????? Excellent service and very happy with results as always. Gemma did my hair, using quality products great color and cut. Lovely friendy salon. Always a great service by Gemma and totally trustworthy I know I can leave it to her to advise and chat with me about what style and colour to go with, I have never found a hairdresser other than Gemma were I come out with a haircut or colour that I was expecting. I love my hair appointments with Gemma. She knows how I like it and never let's me down . Even when I'm feeling like I need a change I can count on Gemma to help advise me and I know it'll be a good experience. Really happy with my hair styled by Gemma. She has styled it just how I want for my wedding day. Lovely friendly staff whenever I have visited. Gemma is a superb hairstylist, passionate about her job and her love of hairdressing is apparent. I am a regular customer, i go in the salon with roots and feeling drab and come out feeling so glamorous again. The cut to me is important and Gemma knows how to cut my thick unruly hair to perfection. I have visited many salons until 4 years ago when walking into cherry blossom, it's an excellent salon all hairdressers are brilliant at there jobs. I would certainly recommend them all.